Ruth Guedes is a Transformational Strategist, Holistic Practitioner, Emotion Code Practitioner and Intuitive Consultant that is certified in Advanced Clinical and Metaphysical Hypnosis, Neuro Linguistic Psychology, Emotional Freedom Technique, and the Five Phase Therapeutic Hypnosis System (5 Phase Advanced Transformational Hypnosis). Ruth received her BS in Psychology from Central CT State University, Certifications from The Hypnotherapy Training Company, the American Institute of Hypnotherapy and Banyan Hypnosis Center and trained by Gary Craig EFT (tapping) founder. Ruth Guedes is an active member of the National Guild of Hypnotists and the International Association of Counselors and Therapists. 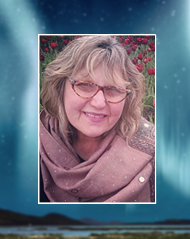 She is committed to continuing education in the field of healing therapies to provide her clients with the state of the art techniques and information. For more than 35 years, she has been studying behavioral sciences along with Eastern and Western Philosophies. She strives to offer quality services and has taken a myriad of trainings in mind-body healing techniques. Combined with her skills and clear insight, clients have the opportunity to experience breakthroughs and shifts in their lives they never thought possible. She combines professional cutting edge techniques with keen sensitivity, respect and commitment to guide you to achieve the results you desire. With her holistic background, Ruth serves as a guide in a cooperative process to modify unproductive behaviors, release negative thinking, access and develop self understanding and develop the full potential to live happy, rewarding lives. Ruth also helps clients experience self acceptance in ways that are beyond the beliefs of their rational mind. She enables clients to reach a higher path of consciousness and awareness through metaphysical and spiritual knowledge. You have the knowledge of what you want, she has the tools to get you there. Stop dreaming of what might be and start creating a new life for yourself. Contact Ruth right now to tap into your unlimited potential and start moving your life in the right direction! Read what Ruth clients have to say about their experiences!